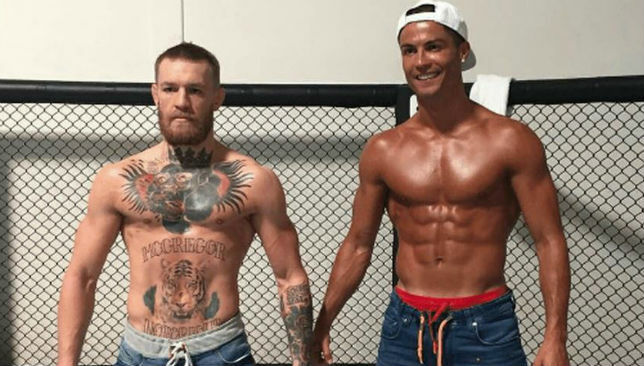 Conor Mcgregor is set to overtake Cristiano Ronaldo on the Forbes rich list following his fight against Floyd Mayweather on Sunday. Elevaete have launched a new limited edition workout outfit on Monday in celebration of Emirati Women’s Day. The design celebrates the love of sport using traditional calligraphy to highlight local culture and is a product of collaboration with Emirati artist Amna Al Banna. Amna is a 19-year-old student of graphic design at Zayed University and artist at Triple A Gallery. She works in a variety of styles and mediums but has a love for calligraphy. Using the six words identified to represent UAE culture as well as sport culture, she created unique artwork to be used on the top and legging set. homage to the rich culture at the root of it all. Matt finish: Matthew Hodgson scored a team-high 15 points. Picture: FIBA. Australia have been a relentless force in their first Asia Cup and now stand just one win away from validating their powerhouse status with a gold medal. As they’ve done throughout the tournament, the Boomers asserted their might to breeze past New Zealand 106-79 in the semi-finals in Beirut. With Iran edging South Korea 87-81 in the second semi-final, Australia will meet the Middle East nation in Sunday’s final. New Zealand were one of the few teams in the field capable of reasonably matching up with Australia’s size, but even the Tall Blacks soon realised they had their work cut out when they fell behind 31-10 at the end of the first quarter. From there, the Boomers cruised to victory behind another team effort as six players scored in double figures, led by Matthew Hodgson’s 15 points on 7-of-9 shooting. A balanced attack has been Australia’s approach all along in the competition, with the Down Under side ranking first with 95.2 points per game despite not having any player ranked in top 19 for scoring average. 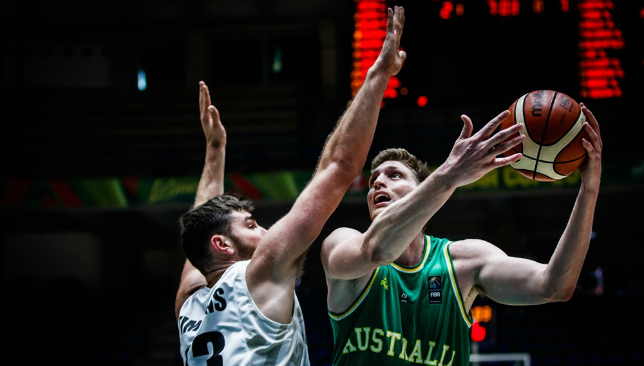 “I thought we did a good job of staying in our game plan and not getting distracted by them making a few shots,” Australia coach Andrej Lemanis said. Iran, meanwhile, had to stave off a furious push by South Korea after their 19-point first-quarter lead disappeared at the 3:46 mark of the third period. With the teams going back and forth down the stretch, Iran’s imposing centre Hamed Haddadi stepped up when it mattered most. Haddadi, after missing his first eight field goals in the contest, drained his only two makes of the in the final minutes to give Iran breathing room. Arsalan Kazemi then drilled a dagger on a midrange jumper to put Iran ahead by five with 27 seconds left – a lead they wouldn’t relinquish this time. Iran, who last won the Asia Cup in 2013, will vie for their fourth gold in a battle of what have been the two best teams in the tournament.